Heather Hoffman walks onto the stage for her second act as Leading Lady. Please give her a very warm reception as she joins with some fabulous projects again today! To see her first take please CLICK HERE. 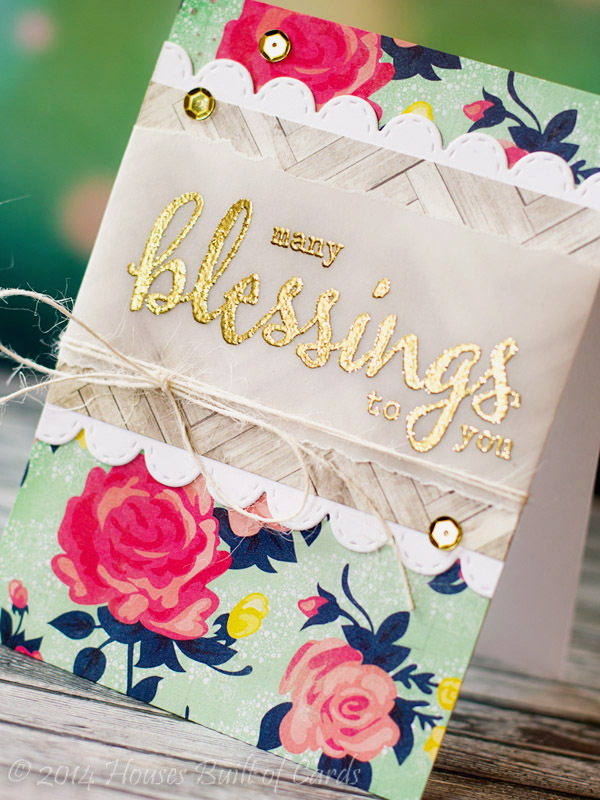 For this one, I used the exact same sentiment layout, since I still had it on my clear block - only I embossed on some soft pattern paper from My Mind's Eye using Ranger Platinum embossing powder - a perfect silvery gold color - so fun! Layered some more pattern paper behind, and finished off with a couple of enamel dots. Great idea to make a masculine and feminine version. made two versions of it! Love both these cards, really well done!! Great cards...love how they are personalized for the person with appropriate papers. Love both cards! 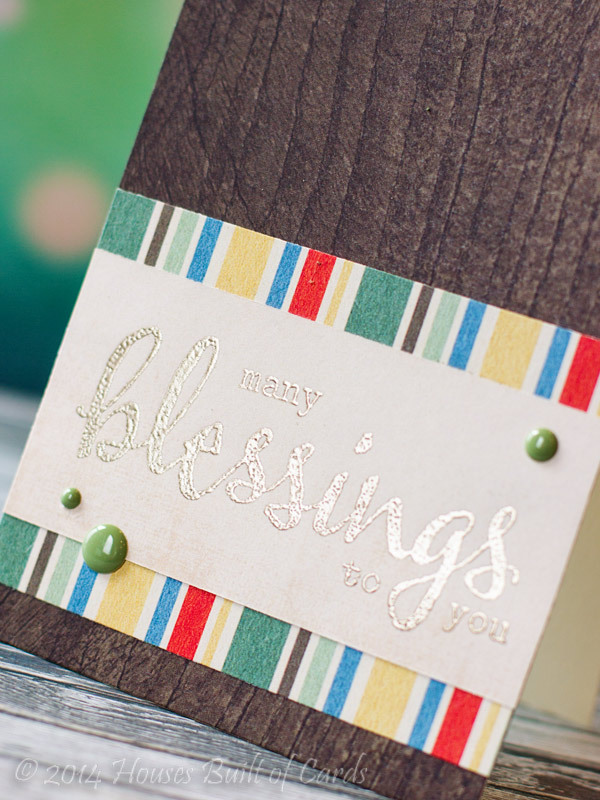 Great example of how versatile a sentiment can be when you change up the paper and embellishments. Well done! Thanks for sharing! DELIGHTFUL pair of cards Heather!!! 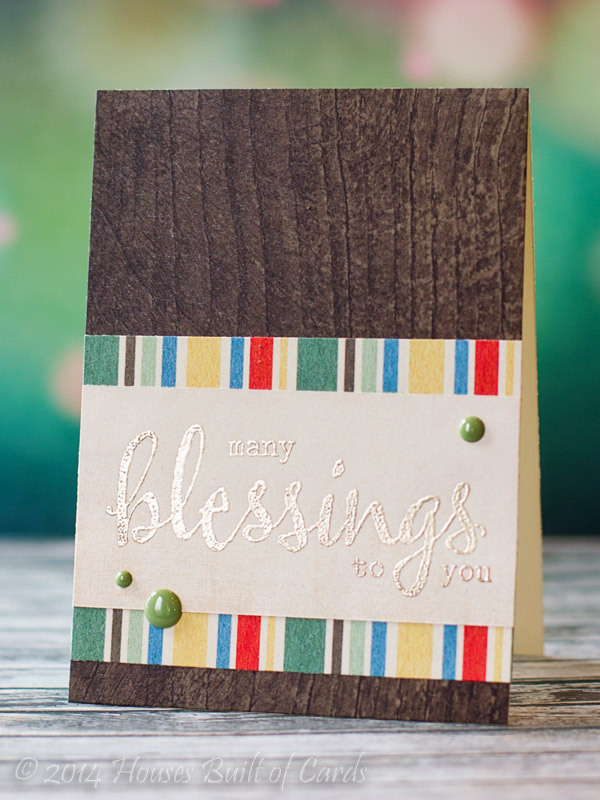 LOVE the elegant design and the GORGEOUS heat embossed sentiment - WOW - the vellum adds the perfect finishing touch AND it is ALWAYS wonderful to get more masculine card ideas too!!! Lovely cards Heather! Love the embossed sentiments. Really nice cards! Love the embossed sentiments in gold and silver. beautiful card Heather... love the embossed sentiment.. Stunning! 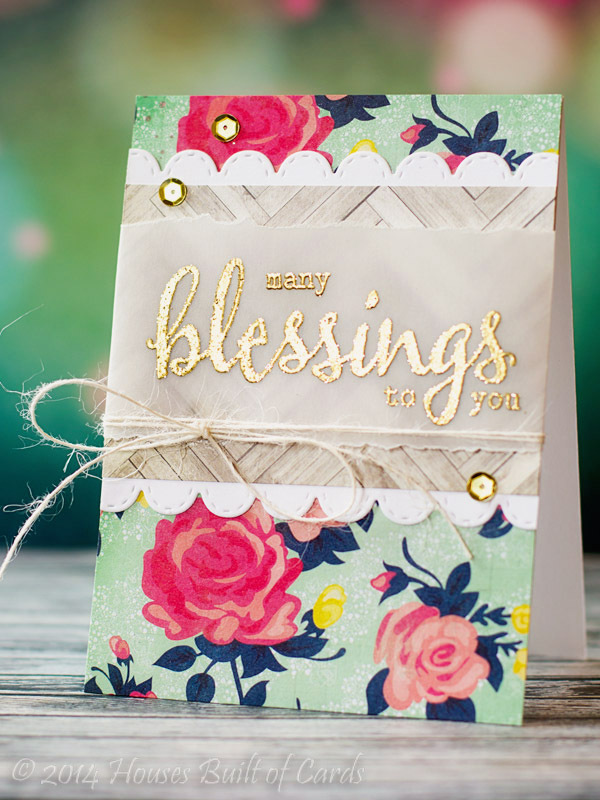 Makes me want to pull out my patterned paper and get creating!